The Kings and the star were always my favourite bit of the Christmas story, perhaps influenced by having to play the part of Melchior, the King of Gold, when I was six. So I’m glad once again to have arrived at Epiphany, and to be celebrating this particular aspect of our faith. It was a Facebook friend of mine the other day who posted a short Epiphanytide prayer. “May we be the epiphany star to one another”, it said. The whole point of our ministry, of course, is to be able to lead people to Jesus, and in this respect we do need to be stars signposting the way. Not that we should be stars in the celebrity sense, of course, gratifying though that might be. It reminds us of our own call to holiness, and it also reminds us that our ministry is about pointing away from ourselves toward the Christ child. The worship which we offer, the care which we provide, should glow with the love of Christ and, under God, to guide people to the point where they can apprehend the invitation to eternal life. We hope as well that our church will be an epiphany church, so that those who join us in worship or in service can be put in touch with the transcendent. That revelation of God’s love may come in unexpected ways and in unplanned moments. As the kings were encouraged by the presence of the star, and urged to travel onwards to the place where Jesus lay, so may we ourselves and our society be enabled to see a deeper richer whole, and in Christ to see the one who is both Alpha and Omega. Youth leadership, mentoring for young leaders and Youth Ambassadors. The Hearth. A community story telling project, whose aim is to bring cohesion and development across communities around the diocese. Spiritual formation and leadership, which will be open to individuals both lay and cleric across the diocese. Using Mark’s considerable skills as writer, retreat leader, spiritual director, community activist, youth worker, storyteller, our desire is to build a lasting legacy of work that will go beyond what we have already been able to achieve, and equip us in furthering our desire and vision to bring the good news of Christ into the centre of our communities and churches here in St. Asaph. The emphasis of Mark’s stay with us is deliberately on spiritual renewal and the importance of prayer, belying the thought that 2020 Vision is merely about the structures of the Church. 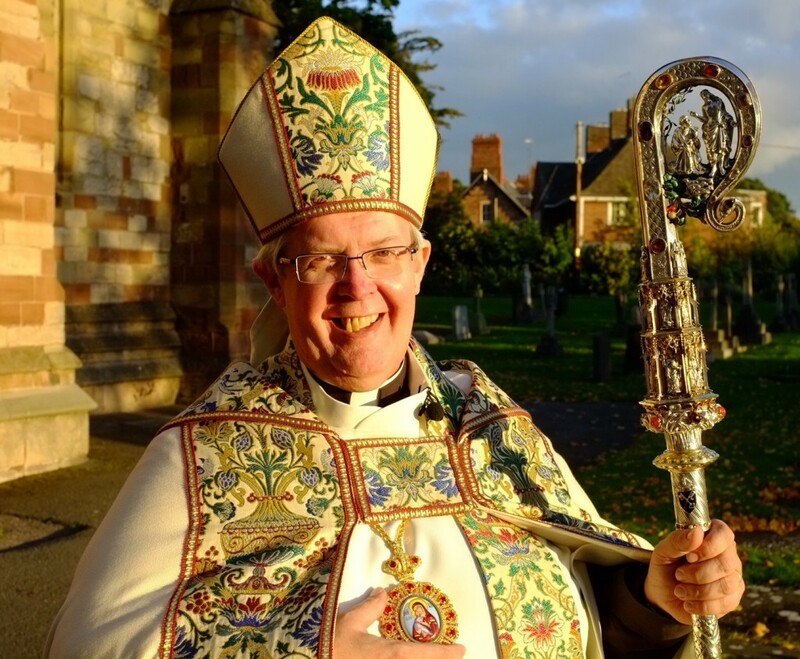 There will be a Welcoming Service for Mark in St Asaph Cathedral on 28th February at 3.30pm. Please do try and make sure this event finds a place in your diaries. I am pleased to announce the appointment of Dot Gosling to the parishes of Llanasa and Ffynnongroyw. Dot has been with us for a little while now since she joined the Dyffryn Clwyd Mission Area, but it is good to welcome her to this parish role and ongoing pioneer ministry. It is good to welcome Mark John to the role of Chaplain Manager in connection with the new Wrexham Prison. Mark comes to us from being Chaplain Manager at HMP Cardiff. Mark is very happy to make himself available on Sunday evening in the course of the next twelve months to preach, or to speak to parish groups about the new prison at Wrexham. He would also welcome details of any church furnishings that may be going spare and which could be available to enhance the sacred space of the prison chapel. 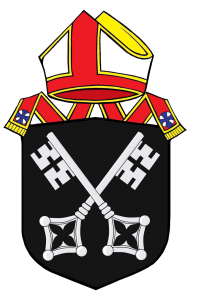 Kenneth Bullock, a cleric who retired to this diocese, sadly passed away just before Christmas, and I am also sorry to have to extend condolences to Glynne and Ann Owen, on the death of their son, Robin, and to Derek Williams on the death of his wife, Christine. For all these brothers and sisters in Christ, we invoke God’s mercy and blessing, and pray that those bereaved may be strengthened by God’s grace to face the future. Please note these dates in your diary, commend them in prayer, and be encouraged to join us where appropriate. Some dates are part of the professional expectations of the clergy, and you are asked to take careful note of these in order to avoid future diary clashes. 20th January Clergy Synod, all day meeting, St David’s Hotel, Ewloe. 24th March Chrism Eucharist, 1100hr as usual, with lunch afterwards. For clergy and laity. 13th April Deliverance Ministry Training, Glasdir, Llanrwst. 25th June General Ordination, 1000hr in the Cathedral. 28th September Clergy Synod, all day meeting, location to be confirmed. These dates respond to all enquiries received. I have assumed that other deaneries/mission areas do not wish to hold a local confirmation in 2016 or that cathedral provision will be used. Should any deanery/mission area not listed wish me to confirm locally, then please make contact with my office as soon as possible. 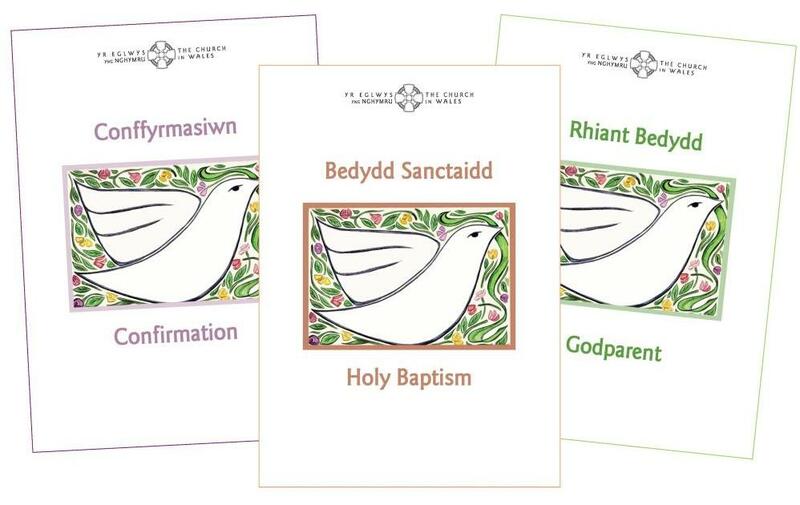 The Church in Wales have up-dated their range of certificates for Baptism, Confirmation and Godparents. The format is bilingual 4-page A5, printed on a heavy white card. They will replace the two old versions of the certificates, more commonly known as ‘modern’ and ‘traditional’ and will be available from January 2016 onwards. The Confirmation Certificate, in particular, is much more suitable for use than other certificates available, as it includes proper spaces for the bishop’s and the presenting cleric’s signatures. The cost of the certificates will remain at the current price of 96p each less any discounts that are applicable. Orders have now been placed for the Lent 2016 Prayer Card. This has been composed by Mark Yaconelli drawing on the ‘Unlocking our Potential’ themes that he will be developing with us during his six month residency with us next year, which begins in February. The prayer cards will be available for collection at the Clergy Synod day on Wednesday, 20 January. This event will be held on 16th July between 10am and 4pm at the De Montfort Hall, Leicester. Advertised as ‘A Christian Day Festival for 21st century Disciples’, the day includes sessions on motivational teaching; practical resource centre; inspiring worship; 24/7 prayer; world food and messy church. Further details can be found here. I do hope that 2016 will be a year of fulfilled hopes and abundant blessings for you in your ministry and in your homes. As ever, I am enormously grateful and appreciative of your ministry and collegiality.